Painted Gnomes Allowed To Roam On Oakland Utility Poles Over the past year, small, elfin creatures started springing up all around Oakland, Calif., on the base of utility poles. The local utility had vowed to remove them but now says the paintings can stay. An anonymous artist started placing the hand-painted gnomes on the bases of utility poles all over Oakland. Over the past year, small gnomes started springing up all around Oakland, Calif. 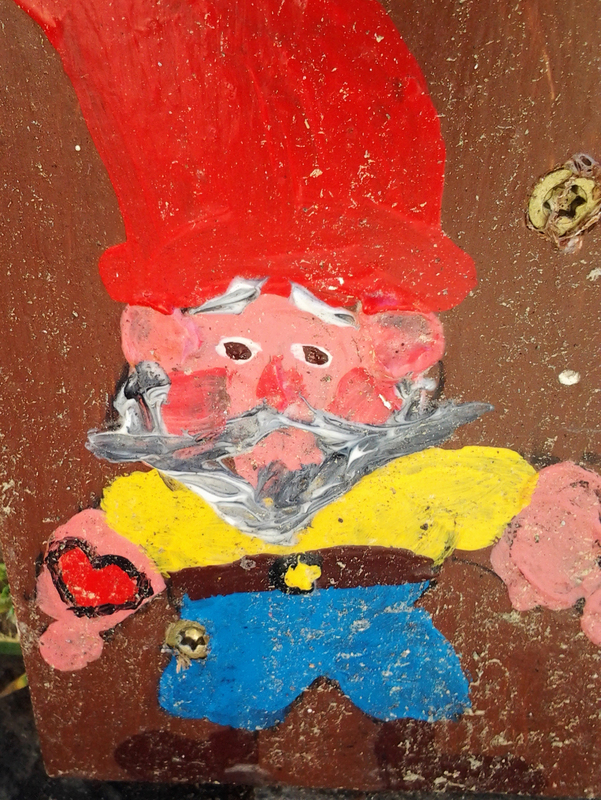 The elfin creatures are hand-painted on wooden boards; each is about 6 inches tall, with red hat, brown boots and white beard. They're bits of urban folk art from an anonymous painter who surreptitiously screws them onto the base of utility poles. The local utility — Pacific Gas and Electric — balked, and vowed to remove all of the gnomes. That's until recently, after a surge of popular gnome support caused PG&E to have a change of heart. Melissa Block, host of All Things Considered, talked to the gnome's creator about the project. NPR has agreed to preserve his anonymity. If you've spotted one of the gnomes in Oakland, we want to see your photos. Upload your images to Twitter, Tumblr or Instagram and use the hashtag #nprgnome.